Don't let everybody else's bad taste ruin your music recommendations. Instead of recognizing the voices of various users and serving up their personal tunes, HomePod is tied to one person’s Apple Music library. That leads to an unfortunate side effect: Whenever anyone in your home tells your HomePod to play a track, that song is added to your listening history. That means your teenagers’ ironic Ramones session, or your spouse’s un-ironic David Hasselhoff listen-a-thon, will pollute your listening history — and affect your future recommendations. Here’s how to stop that from happening. The feature we’re talking about here is called Listening History , and that’s what it is. Apple Music uses your Listening History to make recommendations. That’s how the service builds those neat playlists — New Music, Favorites and Chill — that show up in your Music app every week. Those recommendations are built on your iTunes listening history, too, including all the CDs you ripped back when that was still a thing. So it makes sense to keep the well waters pure. Fortunately, that’s easy to do. Toggle Listening History in the Home app. There are two ways to toggle the Listening History feature on and off. One is to use the Home app on your iPhone or iPad. The Home app is where all the HomePod settings live. To find them, you just launch the app and long-press on the button for your HomePod. Then tap the Details button at the bottom right of the screen. In the resulting settings screen, you just toggle the Use Listening History switch to enable or disable the feature. The other way to change this setting is to use Siri. Just say, “Hey Siri, turn off Use Listening History,” or “Hey Siri, turn on Use Listening History.” That’s much quicker, and therefore much more likely to be useful. Judicious toggling lets you keep your Listening History pristine, while still allowing others to use the HomePod to play whatever they like from your Apple Music account (or iTunes Match or whatever you use). This is an essential feature, but still way more clunky than it should be. 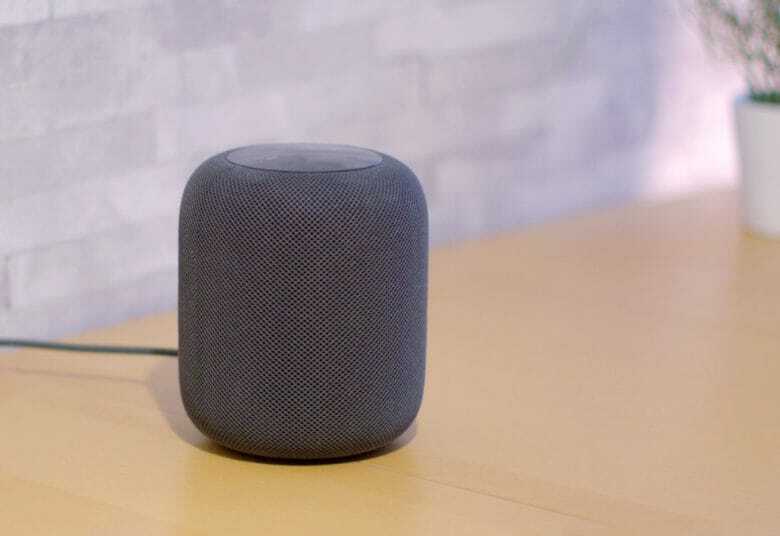 You must remember to turn off Listening History every single time you leave the house or think someone else might use the HomePod. It would be far better to have the HomePod recognize voices and pull music from individuals’ Apple Music profiles. But even automatic disabling of the Listening History would be a start. 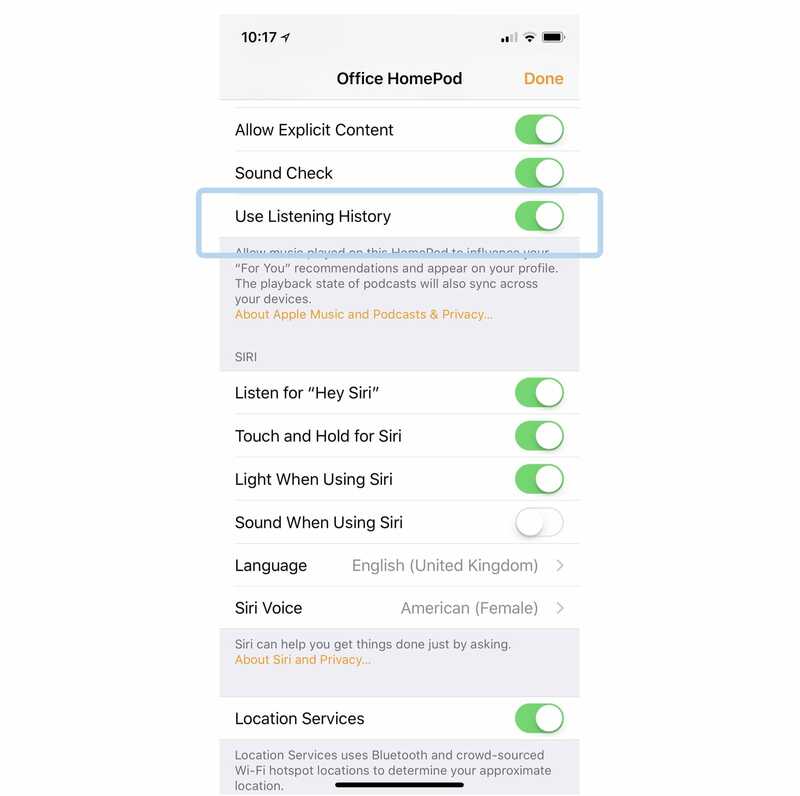 HomePod could automatically switch off Listening History whenever your iPhone leaves the house, for example. Or maybe it could be trained to recognize your voice (like you already do when you enable Hey Siri), and only save songs to your Listening History when it’s you doing the talking. These kinds of smart features are where the HomePod falls down. You might not care about accessing your calendar appointments via your music speaker. But, as we have seen, smart features prove useful for background stuff like this, too.